News Flash! 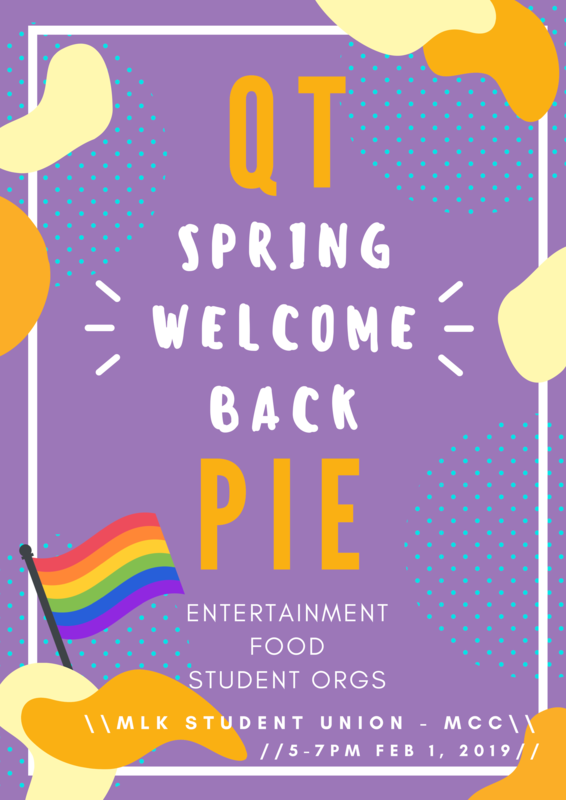 The Queer Alliance Resource Center (QARC) is hosting QTPie: The Spring Queer and Trans Welcome Back Event! Community building and promoting belonging are some of the many activities on the agenda! In addition, free food and entertainment will be at the venue, so be sure to come by the Multicultural Community Center, this Friday, Feb 1 from 5:00-7:00 PM! Previous Entry: Joel Kim Booster, an Up and Coming Comedian, Comes to Campus!